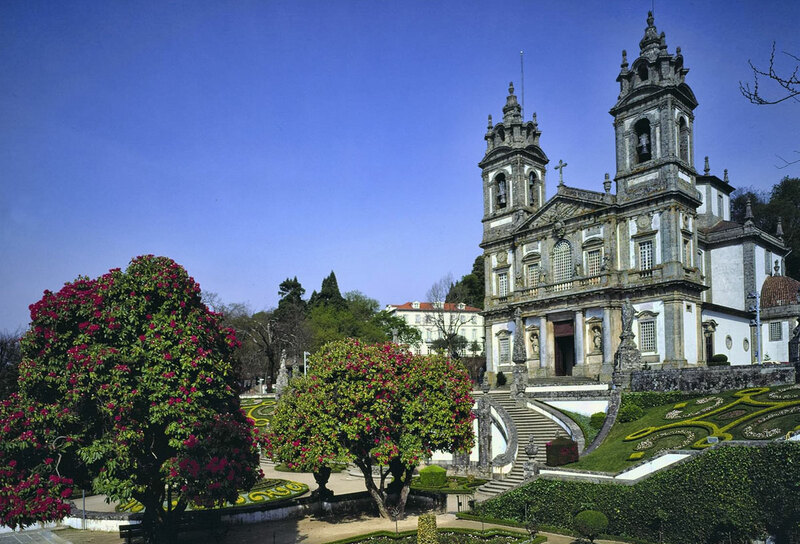 The Santuario do Bom Jesus do Monte near Braga is apparently Portugal's most photographed church. Whether this is true or not there is no denying it is one of Portugal's most beautiful churches. The reason it is receives so much attention is not clear in this photo, but the church is set on a steep hill and reached via an incredible 116 metres (381 feet) Baroque stairway. The sanctuary is an important catholic pilgrimage site and true penitents will climb the stairs on their knees! The church itself was built between 1784 and1834. It was designed by Carlos Amarante and is one of the earliest examples of neoclassical design in Portugal.